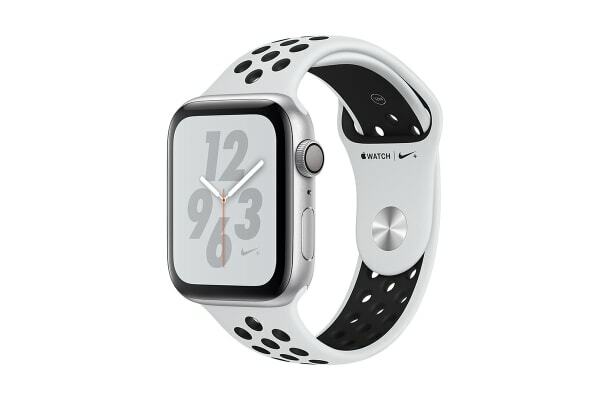 The Apple Watch Nike+ Series 4 is fundamentally redesigned and re-engineered to help you become even more active, healthy and connected. From the curved corners of the larger, all-new display to the architecture of the S4 chip, every detail has been thoughtfully considered. 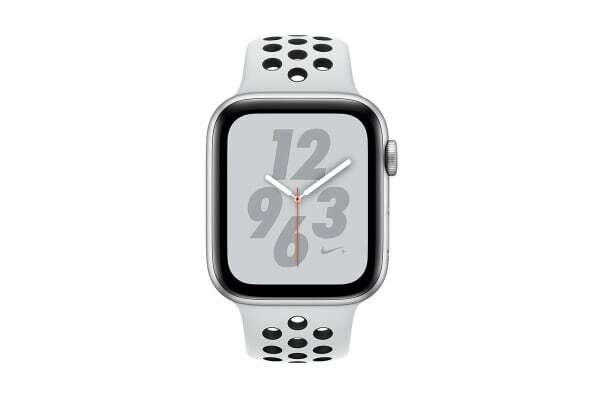 The Apple Watch Nike+ Series 4 has always been uniquely personal. And now it’s even more powerful. The display is the defining feature of Apple Watch and Series 4 pushes it further than ever. The challenge was to make it bigger without noticeably increasing the size of the case or compromising the battery life. Narrower borders enable a viewing area that’s over 30 percent larger, while the new LTPO display technology improves power efficiency, helping you get through the day on a single charge. 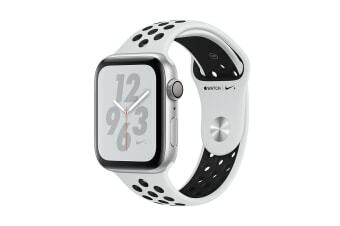 Apple Watch Series 4 is water-resistant to 50 metres and tracks both pool and open-water workouts. Turn the Digital Crown to eject water from the speaker using a burst of sound. The optical heart sensor has been part of Apple Watch from the beginning, allowing you to quickly check your heart rate. Now it can also detect if your heart rate falls below a specified threshold for a period of 10 minutes when you appear to be inactive, triggering a low-heart-rate notification. Apple Watch Series 4 regularly monitors your heart throughout the day, so you can check your heart rate at any time and keep track of your heart’s performance. What’s more, if it detects unusually high or low heart rates, it alerts you, even when you don’t feel symptoms. 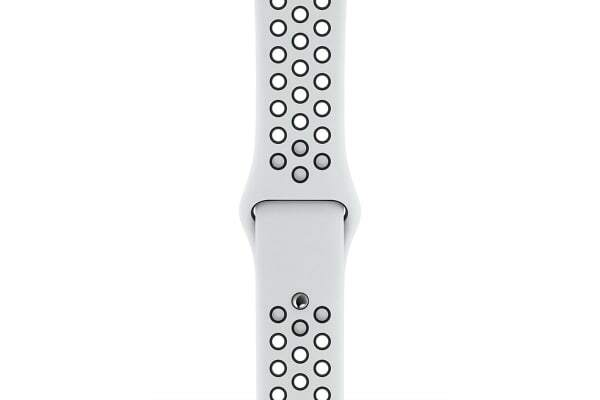 With the improved accelerometer and gyroscope, Apple Watch can detect that you’ve fallen. When an incident like this occurs, a hard fall alert is delivered and you can easily initiate a call to the emergency services or dismiss the alert. If you’re unresponsive after 60 seconds, the emergency call will be placed automatically and a message will be sent to your emergency contacts. Get fit with over 180 free workouts from strength and endurance to mobility and yoga, featuring world-class Nike Master Trainers in every drill. Optimised in every way, the new Apple Watch is more powerful, yet even thinner than before, delivering up to 18 hours of battery life on a single charge.